What would you do if one day you realized that all the stories your family has told you throughout the years are actually true? Matty is just now realizing that the crazy stories he’s heard are really true and not just the ramblings of his upset uncle railing against the government. 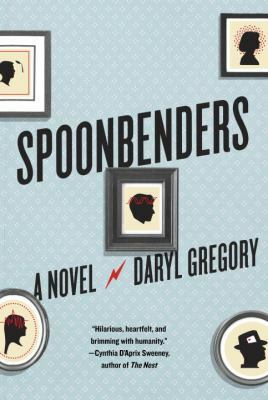 Spoonbenders by Daryl Gregory tells the story of the amazing Tellemachus family, a group of psychics whose powers span generations. Three generations have now descended on one town, sharing secrets, houses, and jobs. The lives they have built together are now starting to crumble, thanks to actions sent in motion many, many years ago by the patriarch of the family, Teddy. Teddy Telemachus met young Maureen when the two were at a college signing up for an experimental study. Fascinated by her good looks and psychic powers, Teddy made it his mission to get to know her better. Flash forward to the mid-1970s. Teddy and Maureen are married with three children in tow: Irene, Frankie, and Buddy. The Telemachus family is famous! They’re known on the talk show and late-night television circuit for performing tricks and feats that no one can understand. Those Telemachus people must be magic! Teddy is a conman with no actual magical talent, Maureen can astral project, Irene can detect lies, Frankie is telekinetic, and Buddy is clairvoyant. Teddy clearly knows how to work a situation to get what he wants and uses that to provide for his family. Late one night on a talk show, the Telemachus family is faced with a skeptic whose only goal is to discredit their entire way of life. Teddy believes that after they prove this well-known skeptic wrong, the family will be set for life. Things don’t go to plan though. The magic fails to happen and the family is destroyed. 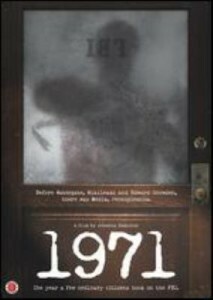 Forced to go into hiding, they soon find themselves living in Chicago trying to rebuild the family name. None of the grandchildren have shown powers yet, at least that’s what Teddy tells the skeptic who keeps showing up and the CIA agents at the door. When one of his children gets involved with the mafia, Teddy discovers secrets running through the family that he wishes didn’t exist. One of these secrets: Irene’s son, Matty, has some Telemachus magic running through his veins. Fighting to stay alive, the Telemachus family realizes that they have to set aside their petty issues and come together to fend off the CIA, mafia, and skeptic threats knocking at the door. Is it too late? Only Buddy knows the answer to that and he’s not talking. You’ll just have to read and see for yourself. James Patterson is an author that I recently started listening to quite frequently. One of my favorite things about James Patterson’s books is that he partners with a lot of different authors. 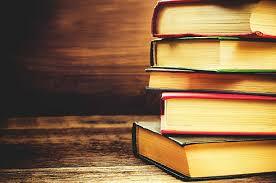 Those partnerships mean that all of his books have a distinct feel to them and are not formulaic. With every Patterson book I pick up, I know I’m going to get something unique. I really enjoy that. Mistress by both Patterson and David Ellis was my latest listen and I enjoyed it. 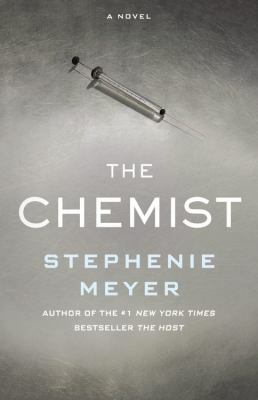 When this book first started, it instantly reminded me of You by Caroline Kepnes, a book I blogged about back in March. Both books begin with a noticeable creep factor. Mistress starts with the main character Ben breaking into a woman’s apartment and rummaging through her belongings. My mind instantly went, “Oh no! We’ve got another obsessed kidnapper/stalker love story.” I braced myself for that inevitability and kept reading. Boy, was I wrong! This book may seem like a creepy stalker story, but Ben is way more complex than I initially thought. Ben is consumed by his obsessions and his racing thoughts. He may seem like he’s got it all together, but once you’ve been around him for a while, you notice that he has four major obsessions: motorcycles, movies, presidential trivia(which he spouts out frequently thanks to his father) – and the beautiful woman whose apartment he was in named Diana Hotchkiss. When Diana is found dead outside of her apartment shortly after Ben leaves it, Ben’s obsession spirals out of control. He must find out what really happened to this beautiful woman who was the love of his life. While Ben digs into Diana’s death, the truth of his life begins to leak out. The origins of his obsessions, how he makes his living, and his reasons for behaving the way that he does all start to be revealed. Ben discovers that Diana has been leading a double life, something that he never expected and she never mentioned. He doesn’t know how to handle that information. The more secrets he uncovers, the more he realizes that he really didn’t know Diana. Someone doesn’t want Ben digging into Diana’s life and sets out to stop him. Ben has to decide what he’s willing to risk to find out the truth about Diana and what he is going to do to ensure that he and his sources stay safe and, most importantly, alive. I’m glad I decided to stick with this book. I was tempted to give up at the beginning because I assumed I knew what the book was going to be about, but I was wrong. Part of my enjoyment of this book was the narrator. He did an excellent job describing Ben’s eccentricities and differentiating between the present and past. James Patterson has yet to let me down! Previously I reviewed Letter 44, Volume 1: Escape Velocity and was instantly intrigued. As a result, I decided that I needed to find the second volume to figure out how the story progressed. 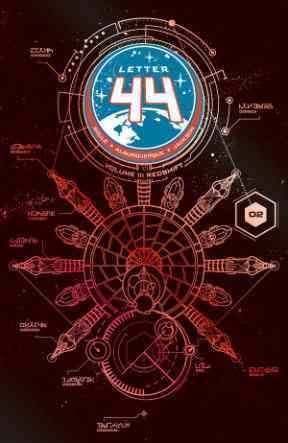 Letter 44, Volume 2: Redshift goes further into the extraterrestrial life the astronauts on the space ship, Clarke, discovered in the first volume. With President Blades struggling to deal with if and when he should alert the public to the existence of the aliens, he finds himself having to deal with other people in the government who are calling for him to tell the truth and if not, risk being impeached. This alien presence is becoming more than he think he can deal with and instead of following the plan laid out for him by the previous administration, he decides to go his own way and ends up thinking more short-term than long-term. That decision ends up costing the American people dearly. While Blades deals with threats from inside his administration and tries to balance everything happening outside, the people on spaceship Clarke are struggling just to live day-to-day. Losing one of their own on the asteroid and with a newborn baby on board, they are trying to figure out what the aliens want and what their device is actually for. Learning what the aliens plan to do throws the crew into a state of panic, especially when it is discovered that one of their own has the ability to communicate with the aliens. This second volume is jam-packed with action, sabotage, danger, and the struggle to survive. 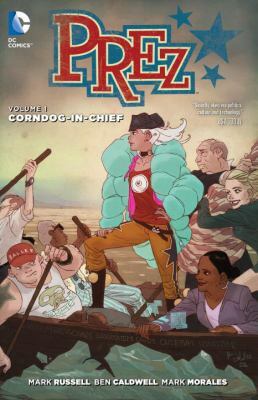 Personally, I cannot wait for the third volume, so I can catch up the crew of the Clarke and see how Blades is doing as President. I have a guilty secret to share. Sometimes I go weeks without paying attention to the news, only checking the surface for sports scores or when a major event happens that is all over social media. As a result, when I’m busy or stressed, I can have no idea what is happening in the world outside my personal bubble. My news-watching habit was pointed out to me when I checked out the movie, Citizenfour, to watch one day. The person on the cover didn’t look familiar, but the plot sounded promising: a behind-the-scenes look into privacy invasions by the NSA. 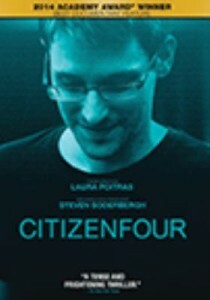 I started watching and wondered continuously who this “Citizenfour” character was, a person conversing with director Laura Poitras and later with journalist Glenn Greenwald through incredibly encrypted and secure channels, one who was telling them that the secrets they had to share would blow the lid off of a huge governmental conspiracy. Even when Poitras and Greendwald flew to Hong Kong to meet Citizenfour at the hotel room where he had been camping out, I still had no idea who he was, but the topic was fascinating. 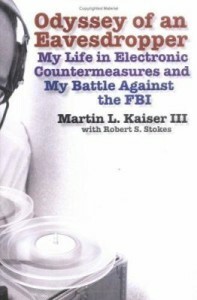 Hundreds upon thousands of classified documents that he had taken from his contracting job with the NSA that highlighted evidence of mass numbers of both indiscriminate and illegal privacy invasions that the NSA had perpetuated over many years. That tickled my brain. Things were starting to sound familiar. I then looked closer at the face on the screen. 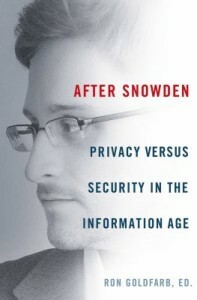 Edward Snowden! That’s what this was about. Citizenfour follows Snowden’s decision to hand over thousands of classified documents that he gathered while being on loan to the NSA about many different secret programs and projects that the NSA and other governmental organizations had put together, as well as some information about the programs that other countries were a part of, all under the guise of surveillance after the tragedies of September 11th. What I found to be interesting about this documentary was that Snowden wanted the focus to be on the information contained within the classified documents and less on the person that was leaking them to the press, himself. 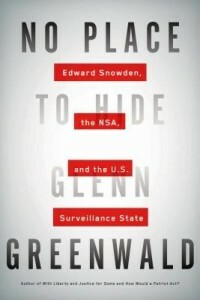 The interactions between Snowden, Poitras, and the journalists that he came in contact with while in Hong Kong highlight the varying degrees of secrecy, intelligence gathering, and electronic surveillance that Snowden was seeking to expose to the world. 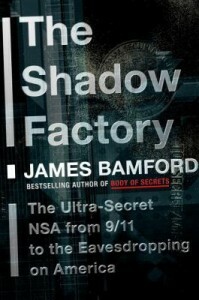 Unplugging the hotel phone, hiding under a sheet to type in his password, talking through notes passed back and forth may seem to a passing person like signs of paranoia, but as Snowden highlights throughout this documentary, the government is capable of tapping into anything and everything, whether we choose to believe it or not. If you’re interested in learning more about this topic, check out the materials below! 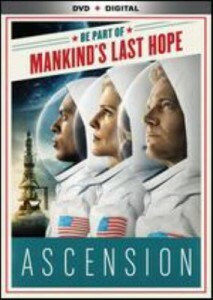 The Syfy channel premiered Ascension, a limited event series, in December of 2014, as a way to introduce people to the idea of what would have happened if Project Orion (also check out their Wikipedia page), a government sponsored program from the 1950s that would have placed over 150 scientists on the moon and even been able to send expeditions to other planets, would have actually happened. Ascension chronicles what could have happened had Project Orion actually occurred. Ascension gives viewers a glimpse into the secret programs of the government and the lives of the people who both wittingly and unwittingly found themselves stuck on that spacecraft. In 1963, at the height of the Cold War, the government secretly recruited 350 people for a mission into space. A huge interstellar spaceship called Ascension was launched into space on a 100 year journey to another solar system. Present day on the ship is 50 years later and viewers are introduced to the children of the original crewmembers, the middle group of people, the ones who are doomed to spend their whole lives on the ship without ever being able to see their destination. Their parents started the ship and their children will be remembered as the ones who complete the journey. This middle group will be forgotten. Tragedy has struck on Ascension with their first murder having been committed. This leads to chaos as the captain and his crew struggle to figure out who committed this crime while also working to keep the rest of the ship calm. Striated class systems and struggles for power dominate the investigation of the death of a woman from the upper decks as people from the lower decks are accused of the crime. This television show is wracked full of plays for power, multiple ship romances and trysts, and rivalries that will have you on the edge of your seat. Add in the fact that people on board only have access to culture, information, and technologies from 1963 and before and the whole spacecraft takes on an eternal 1960s feel that is intriguing and pleasing to the eye. 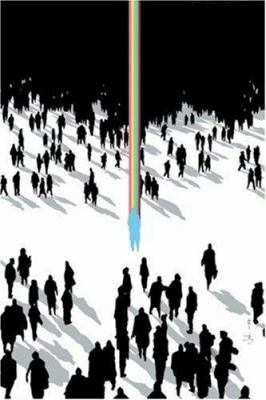 Check out this show to learn more information about the launch of Ascension, the people aboard the ship, as well as information about the founders and the governmental organization responsible for making sure the mission stays on course no matter the cost.